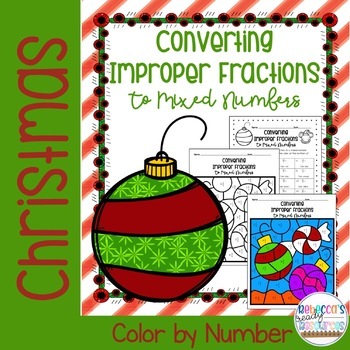 Christmas Converting Improper Fractions to Mixed Numbers Color by Number is a great review for your students as well as fun! Save $$$$$$$ by buying the bundle! 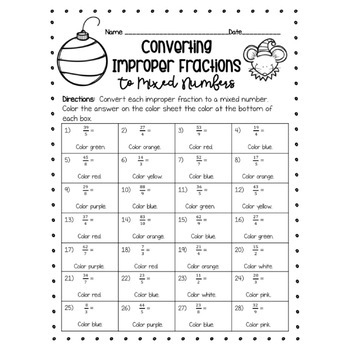 Click here see the Christmas Color by Number bundle which contains six mystery puzzles. 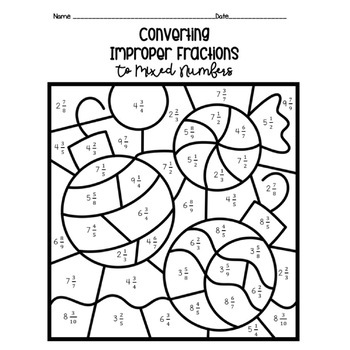 Use this resource for a center, small group, or independent work. 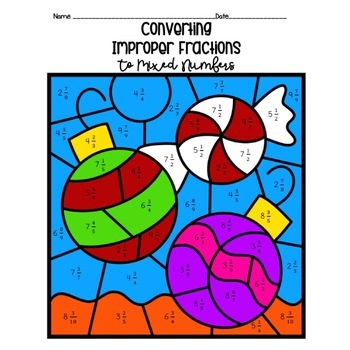 Check out the other fun math resources in my store! *Follow my store by clicking on the green star above! More color by number products are to come. By following my store, you will be notified by email when I upload a new product. *Remember to leave feedback! You can earn TpT credits to save money when you buy future products. *Click on the "Pin it" button at the top of this page to share on Pinterest! If you like this product, others may like it too.